Solbiate Olona (VA), 29 April 2016 - The NATO Rapid Deployable Corps - Italy is celebrating one year after its validation as Joint Task Force Headquarters. 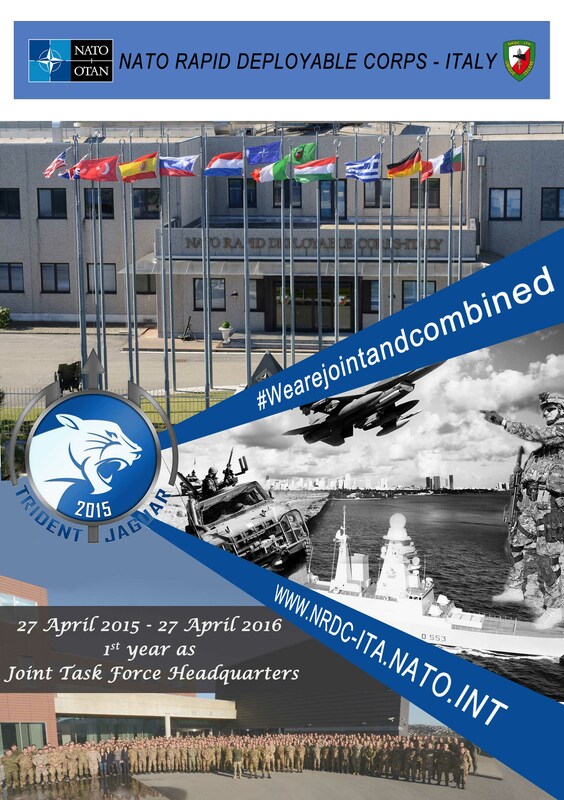 Last year, at the NATO Joint Warfare Center in Stavanger, Norway, the multinational Staff of NRDC-ITA was concluding an extremely busy period of preparation that led them to the Joint Exercise “TRIDENT JAGUAR 2015”, their final test. The NATO Rapid Deployable Corps Italy has been engaged, at that time, in a 13-day training simulation that has enabled it to obtain the NATO validation for its reconfiguration as a Joint Task Force Headquarters.